Are you already starting to think about some country family fun things to schedule? You should be! Country family fun things to do during the Fall season is all around you no matter where you live. If you live in a town or in the city, come to the country for fun fall activities. You might think of Fall as the time for harvest, cooler weather Halloween parties and football season. The cool breezes are already starting to make their way into the air. Everyone is starting to pull out their colorful Fall décor: Reds, oranges, browns. Fall is almost here. For myself as well as other ruralites, Fall is a time where we become like squirrels preparing for winter. Harvest, storing, planning and selling can consume our lives during this season. But, I am a huge advocate for balance. My motto is work hard, play hard. There’s nothing more beautiful, relaxing and humbling than Fall in the country. And there’s so many great outdoor fall activities for all ages. My TOP 5 things to do in the fall. Some great sources to find those fall activities for families in your area. The importance of planning country family fun things to do amidst the busy season. Those pesky Fall leaves can be so overwelming, right? Not anymore! 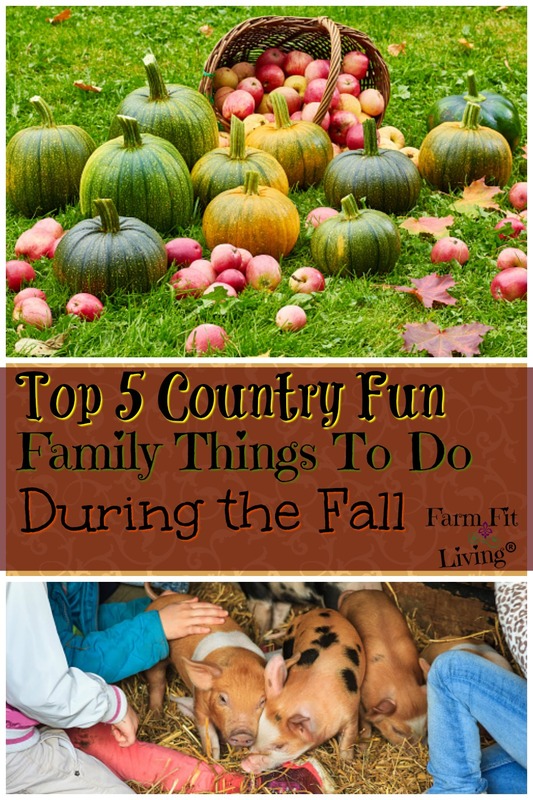 It’s time to make leaves one of the top 5 country family fun things to do. When they cover your yard, rake them up and take turns jumping into the piles. It’s free and so much fun! Simply rake leaves into a large pile. Then, everyone jumps in for some great fall outdoor play. I know, I know. Super fun and too good to be true. There’s many more games you could play in the leaves with the whole family. You can also make it into a contest where the family jumps over the leaf pile. Or maybe even make piles into a diamond and play leaf baseball. Just a suggestion. Make it however you want. Think outside the box and create your own great leafy memories with your family. Another thing you can do with leaves is make crafts with the kids. There’s a ton of cool ideas to be found on Pinterest pertaining to simple autumn crafts to make and country family fun things to do with leaves. Finally, gather the leaves and put them in a place to dry or compost as organic matter for the garden. Don’t let the over accumulation of leaves consume family fun. Because as soon as the work is complete, it’s time to hit up that fall fest and enjoy country family fun things. Many small towns have Fall festivals with many activities for the kids. Some of those activities include crafts, games, and scavenger hunts. There may also be garage sales, bake sales, and other shopping experiences for the avid shopper. And you should make attempt to attend your community’s fall festival. Why? Because small towns have the best festivals. That’s why. In fact, many small town festivals were started years and years ago when life was good and families wanted a little bit of fun in between summer and fall harvest. Traditions were started and carried through the years by a number of people in the communities just looking for some country family fun things to do . And it’s amazing to me how a small amount of people can continue to come together to plan such an event that will bring in thousands of people from near and far. Over time, fall festival traditions are carried on to the next generation to enjoy. More than likely, there’s something for you and your family to enjoy at your local fall festival. So, step out and make a plan to attend one this fall. It’s not Fall without pumpkins to carve and pumpkin seeds to roast. Check out my favorite recipe here. One of my favorite childhood memories of fall was going to the local pumpkin patch and picking out the biggest pumpkin I could carry. Then, I took my pumpkin home, opened up the top and scooped out all the insides and seeds. I chose a pattern to carve and used a sharp knife to carve out that pattern into the side of my pumpkin. If you have younger kids who want to carve pumpkins, you might consider this option using a drill bit. It’s a little bit safer for them than a carving knife. And it allows them to get in on the pumpkin fun as well. Pumpkin patches are obvious fall treats. Here are some pumpkin patches in my area that we try to attend each year that are a ton of fun! And here is another fun option you might not know about that your area may offer for country family fun things to do this fall. Whoa! Did you know about these hidden gems? Many small farms offer special days in the fall where you and your family can come out and experience demonstrations for how the work is done. For example, you and the kids can milk a goat, see how cheese is made and how sheep is sheared. The kids can feed animals a handful of grain. This is a great option if your kids haven’t been around a farm before. It’s a good idea to expose them to farm life as much as possible. And working farms are a great way to do this. Some working farms even have days where they harvest crops with a combine as a demonstration. This is a great way to see how crops are harvested. And you could even visit farms that have orchards and pick your own farm fresh produce to take home. Also, you could visit an apple orchard and purchase some apples to take home with you. And not only do these orchards offer apples, but apple products as well! Yummy apple cider, homemade apple fritters and doughnuts…Yum! Watch how they are made and then go home and make them with your family. You might even have the option to pick your own apples! How fun! I introduced you to U-Pick Orchards earlier this Summer when Mylee and I picked blueberries. Now, I’m thinking apples, apples, and apples. Yum! Most U-Pick Orchards let you come in and pick as much as you want. Then, you pay them by the pound for the produce you pick. It’s such a simple process. It’s great for the kids because they learn where apples come from. And fresh orchard grown apples or other orchard fall fruits are so delicious. There’s just nothing better than fresh, right? But you aren’t just benefiting your family when you buy fresh local produce. You’re benefiting someone else’s family, too. By purchasing local, you are helping out a family backyard business. Many of these 5 country family fun things to do are actually small backyard businesses. Not only will you be having fun and learning, but you’ll be supporting the family’s operating business as well. So, how will you know if you’re supporting someone’s backyard business? Well, easy. Sometimes the family’s name is in the name of the business. Or, there may be information on the business web site about the family run business. Be sure to watch for this information when you’re looking for a place to spend a fall day with the family! Because, you know you’ll be given quality product and fun when you check out a business the whole family takes part in to make memories happen. You’ll want to support these family businesses to keep the fun going for years to come. Checking in with these entities should help you to find what you need to experience and enjoy the countryside during the beautiful fall season. Step out into the country or small rural community for some country family fun things to do. Explore the beauty of fall colors, yummy fall food and the hospitality of awesome backyard businesses. The best way to experience the beautiful colors and feelings of fall is to get outside and travel the countryside. Play in the leaves. 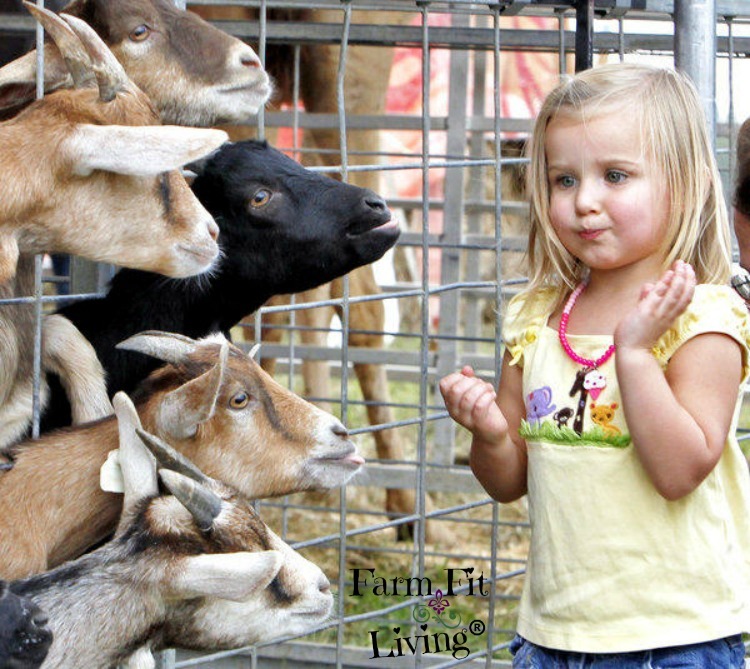 Let the kids feed goats at a local farm, pumpkin patch or petting zoo. Experience how apple products are made and then take some apples home to make your own. Trust me. Implement some time to experience country family fun things with your family this fall. It will be a season full of memories that no one in your family will ever forget. Fall festivals and apple picking – 2 of our faves! This is a great list that you put together, gives me some new ideas! Thank you, Carrie! I hope you enjoy the beautiful cool weather and scenery this Fall. We love fall festivals and pumpkin patches! I am so eager for fall!! Great ideas! I really miss living in the country and going to the pumpkin patch and fall festivals. I think I’ll have to take a trip outside the city this year to enjoy some of those old favourites of mine. Absolutely – We live an hour from Kansas City and there are lots of patches between here and there. And we see lots of city dwellers that travel to these patches with their families. It’s always fun to watch other people and how they enjoy these activities. great ideas! I love fall festivals and visiting apple orchards and pumpkin farms! Thanks, Tianna! I hope you get to enjoy some this Fall. Thanks, Kelsey. I hope you get to enjoy some orchards and Fall festivals this Fall. Fun post, I love all these fall ideas! Thanks, Hannah! I hope you are able to enjoy some fun Fall things this season. Sounds like a fun fall ahead!! I love a good pumpkin farm! It is also time for hayrides, hot cider and doughnuts! It doesn’t matter how old you are everybody loves to play in the leaves. I love the smell of the fresh crisp air and cuddling up in sweatshirts. Definitely, Sheila. Those are all amazing things. Gotta love those hot fresh doughnuts on a cool Fall afternoon. My first real fall event will be tomorrow, my mom and I are going to the local Amish school auction. They have amazing food, booths and other fun things. We’ve gone the last few years and always love it. Oh My – How FUN! We have been to an Amish festival and it was so much fun. I’m just so amazed at what they produce to offer their customers and visitors. This post makes me smile. Thanks for all the tips and ideas – we’ll add a few this fall. I love fall festivals, and I’m going to two this season–and can’t wait! 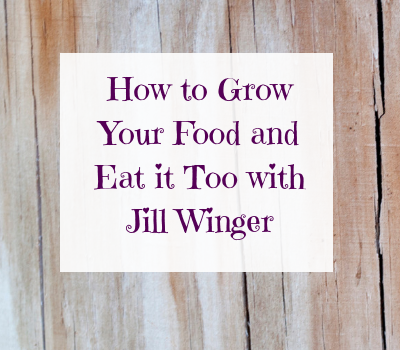 I’m also hoping to pick pumpkin, try a ton of fall recipes, and more! Great! I hope you have an awesome season. Can’t wait to hear more about your travels.